With the first edition out of print, readers—and libraries—have had to resort to searching for copies online to replace their old, much-used, dog-eared copies. No more. This second edition of Wisconsin Underground provides an up-to-date listing of the state’s most publicly accessible caves, former mines, and other subterranean treasures. 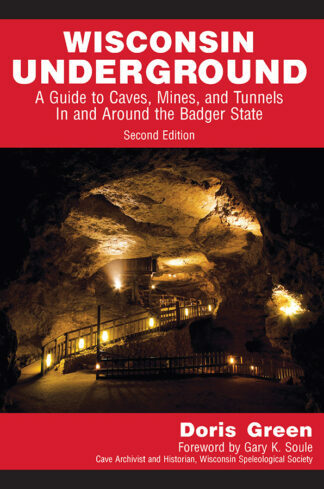 Whether you are a sport caver, researcher, or vacationer, this guide offers unique travel destinations, suggests possible study projects, and points to both widely known and little known underground locations. This guide offers ideas for travelers who want an unordinary travel experience. While some sites require sure-footedness and an ability to climb scores of stairs, others are accessible even for families with young children. Whether you’re ready for a serious trek or a simple peek beneath the surface, Wisconsin Underground can the lead the way.